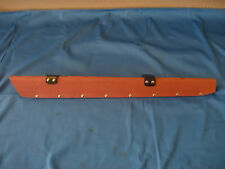 New Old Stock Jaguar Ballast Resistor. PART NUMBER JLM1150. TO FIT THE EARLY MODELS OF THE XJ40 VERSION OF THE XJ6 ( SEE BELOW FOR DETAILS.). 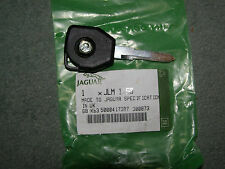 TO FIT JAGUAR XJ40 UP TO 594575, MAY FIT OTHERS TO REPLACE A NON ILLUMINATED KEY UPTO VIN 667828 BUT YOU WILL NEED TO CHECK. Innerhalb von 48 Stunden! Klimaanlage und Heizung. Kompressor und Einzelteile. Lenkgestänge und Kugelgelenke. Manufacturer: Jaguar. Genuine used part removed with expert care and tested where possible. Part Number: 2W4E-12A366-AC. Referencia : 6W8311572AK. Código interno: 984576. Wir können es überprüfen. Nous pouvons le vérifier. PART NUMBER: C34080R. SPARK PLUG CONDUIT RED. Canhão de Ignição Jaguar S-TYPE (2002->) 2.7 V6 Diesel Executive [2,7 Ltr. 56645 Canhão de Ignição Jaguar S-TYPE (2002->) 2.7 V6 Diesel Executive [2,7 Ltr. - 152 kW V6 Diesel CAT] 7G - 4R83-12A145-BA As condições de envio são para Portugal continental. Muito obrigado pela sua confiança. PART NUMBER: C34080. SPARK PLUG CONDUIT BLACK. 56645 CLAUSOR Jaguar S-TYPE (2002->) 2.7 V6 Diesel Executive [2,7 Ltr. - 152 kW V6 Diesel CAT] 2.7 V6 Diesel Executive [2,7 Ltr. La herramienta gratuita para publicar anuncios. ]. JAGUAR MK X 420 420G. NEW IGNITION CONDENSER. Suitable for battery under bonnet XJ40 up to engine number 161586. if your engine number is after this, then you need the later version of this part (not this one). working order/ good condition. Jaguar S Tipo 2.5/3.0 ignición barril & Llave, 2R83-12A145-AF 02 - 06 modelos. Jaguar S Type 2.5/3.0 Ignition barrel & Key, may need battery in key as fob not work but car was in daily use. Removed from my 03 S Type SE, UK Right hand drive model, fits V6 petrol models 02 to 04, UK models. Daimler Sovereign XJ6 XJ40 3.6L and 4.0L 1986 on. Jaguar XJ6 XJ40 3.6L and 4.0L 1987 - 10/1989. Jaguar XJ6 XJ40 4.0 (24 V alve) DOHC 10/1989 - 10/1994. Jaguar (24 Valve) DOHC 3.2 2/1992 - 10/1997. It is assured your information will not be given, sold, rented or loaned to any third party. IGNITION KEY TRANSPONDER RECEIVER RING. JAGUAR X TYPE. FITS - E-TYPE 3.8 4.2, MK2, S-TYPE, 420, MK10 3.8 4.2. DAIMLER V8, 250, 2.5, DART, SOVEREIGN AND 420. JAGUAR COPPER CORE HT LEAD (21 FOOT). Inhalt 1x Zündspule. BREMI 20453. DAIMLER DAIMLER XJ (X30_) Six 4.0. DAIMLER DAIMLER XJ (X30_) V8 Super 4.0. Verwendungsliste für DAIMLER. JAGUAR XJ (NAW_, NBW_) 8 3.2. JAGUAR XJ (NAW_, NBW_) 8 4.0. JAGUAR XJ (NAW_, NBW_) R 4.0. 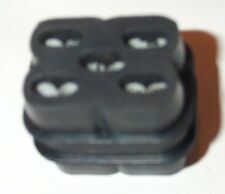 Connector part number 3582. Daimler Sovereign. Jaguar E Type. Series 1 and Series 2. JAGUAR PART NUMBER: JLM381. YOU ARE VIEWING AN XJ40 ROTOR ARM. ALL XJ40 3.2 / 3.6 / 4.0 MODELS. This can be found either in your Log Book or on the Bottom Left of your Front Windscreen. Scottish Islands -HS1-9, IV40-51, IV55-56, KA27-28, KW15-17, PA20, PA30, PA32-34, PA41-49, PA60-78, PH42-44, ZE1-3. 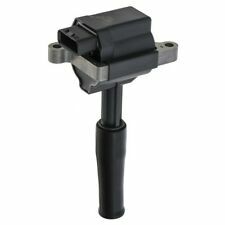 VE363375 Crankshaft sensor fits JAGUAR VE363375 Crankshaft sensor fits JAGUAR. NOTE1 : Part Number - VE363375. © Rice Rocket. > Throttle Bodies. Fit All Jaguar X-Type 2.0TDCi models from July 2003 to April 2008. Important Notice: When replacing Glow Plugs always compare your new plugs to the plugs being removed. 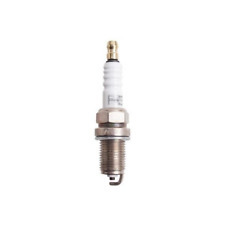 Wellman Diesel Glow Plugs Made By Standard Motor Products. PART NUMBER: JLM381QH. XJ6 [XJ40] (1986-1994). Rotor arm. Specialising in Austin-Healey, Classic Mini, Jaguar, Mazda MX-5, MG, Morris & Triumph. Cap es adecuado para los distribuidores de tipo Lucas DM6. JAGUAR XK120 XK 140. 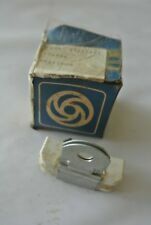 Este es un tipo de tornillo temprana superior tapa del distribuidor de entrada. A continuación puede encontrar una traducción automática al español. V12 5.3 LITRE. JAGUAR XJ12. IGNITION HT LEAD SET. Part Manufacturer Number JLM381. Manufacturer Part Number JLM381. Other Part Number JLM381. Part Manufacturer JLM381. ESTÁ VIENDO UN BRAZO ROTOR XJ40. PRECIOS DE ENVÍO PARA LAS TIERRAS ALTAS ESCOCESAS, ISLAS ORCADAS / CANAL, ETC., EN EL SUR. Wing Mirrors. XJ6 and XJR 1994-1997 (VIN range 720125 through to 812255). We are a Jaguar vehicle parts specialist, based in the East Midlands. This is the sensor which mounts next to the main crank shaft pulley. 2007 JAGUAR S TYPE Ignition W/Key. This item has been removed from a: 2007 JAGUAR S TYPE. Make: JAGUAR. Fuel type: Diesel. Vehicle Colour: Blue. Part Type: Ignition W/Key. Year: 2007. Model: S TYPE. PART NUMBER: JLM381. XJ6 [XJ40] (1986-1994). Rotor arm. Genuine Jaguar. Specialising in Austin-Healey, Classic Mini, Jaguar, Mazda MX-5, MG, Morris & Triumph. PART NUMBER: JLM9520. XJ6 [Series II] (1973-1979). XJ6 [Series I] (1968-1973). Genuine Jaguar. Specialising in Austin-Healey, Classic Mini, Jaguar, Mazda MX-5, MG, Morris & Triumph. E-Type [Series II] 4.2 Petrol (1968-1971). NOTE1 : Part Number - VE363412. > Lambda Sensors. > Air Mass Sensors. > ABS Sensors. The range includes > Throttle Bodies. 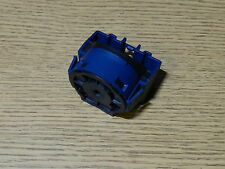 Replaces:- Lucas 54414989 Lucas DC15 Lucas DDB115. Jaguar 420G & Auto. used on Lucas Distributor 41060 & 41065. DISTRIBUTOR CAP. (number stamped on distributor body). Top Quality. It should not be altered / tampered with/used. Reemplaza:-Lucas 54414989 Lucas DDB115 Lucas DC15. Jaguar 420G & Auto. utilizado en Lucas Distributor 41060 & 41065. para Atornillar los Cables HT. (Nombres de los fabricantes utilizan para fines de referencia). Photographed on page 83 and 84 of Nigel Thorley's definitive "Original JAGUAR XJ". This is a NEW Set of Champion Plugs. Jaguar 240 fitted 03/1968 to 03/1969. Cap is suitable for Lucas DM6 type distributors. JAGUAR XK120 XK 140. This is a early screw type top entry distributor cap. For use with Lucas Distributor 41616. Replaces:-, Lucas 54423548, Lucas 54427838, Lucas DC13, Lucas DC9, Lucas DDB113. Jaguar XJ6. Distributor Cap. Top Quality. NOT included. NEW IGNITION CONDENSER. JAGUAR E TYPE 4.2.